Canine Influenza is a highly contagious respiratory infection of dogs that is caused by a virus. The Canine Influenza virus is closely related to the virus that causes equine influenza and it is thought that the Equine Influenza virus mutated to produce the Canine Influenza virus.Two clinical syndromes have been seen in dogs infected with the Canine Influenza virus—a mild form of the disease and a more severe form that is accompanied by pneumonia. • The mild form—Dogs suffering with the mild form of canine influenza develop a soft, moist cough that persists for 10 to 30 days. Some dogs have a dry cough similar to the “kennel cough” caused by Bordetella bronchiseptica/parainfluenza virus complex. For this reason, Canine Influenza virus infections are frequently mistaken for “kennel cough.” Dogs with the mild form of influenza may also have a thick nasal discharge, which is usually caused by a secondary bacterial infection. • The severe form—Dogs with the severe form of canine influenza develop high fevers (104°F to 106°F) and have clinical signs of pneumonia, such as increased respiratory rates and effort. Pneumonia may be due to a secondary bacterial infection. Dog owners should be aware that any situation that brings dogs together increases the risk of spread of communicable diseases. Good infection control practices can reduce that risk, so dog owners involved in shows, sports, or other activities with their dogs or who board their dogs at kennels should ask whether respiratory disease has been a problem there, and whether the facility has a plan for isolating dogs that develop respiratory disease and for notifying owners if their dogs have been exposed to dogs with respiratory disease. My dog has a cough…what should I do? Schedule an appointment with your veterinarian so that he or she can examine and evaluate your dog and recommend an appropriate course of treatment. If Canine Influenza is suspected, treatment will usually focus on maximizing the ability of your dog’s immune system to combat the virus. A typical approach might include administration of fluids if your dog is becoming dehydrated and prescribing an antimicrobial if a secondary bacterial infection is suspected.Canine Influenza virus can be spread via direct contact with respiratory secretions from infected dogs, and by contact with contaminated inanimate objects. Therefore, dog owners whose dogs are coughing or exhibiting other signs of respiratory disease should not participate in activities or bring their dogs to facilities where other dogs can be exposed to them. Clothing, equipment, surfaces, and hands should be cleaned and disinfected after exposure to dogs showing signs of respiratory disease to prevent transmission of infection to susceptible dogs. Clothing can be adequately cleaned by using a detergent at normal laundry temperatures. Viral disease is usually best prevented through vaccination. Unfortunately, at this time no vaccine is available to protect dogs against Canine Influenza. Vaccination against other pathogens causing respiratory disease, however, may help prevent more common respiratory pathogens from becoming secondary invaders in a respiratory tract already compromised by influenza infection. In addition, knowing that dogs are vaccinated against these pathogens may help facility managers distinguish Canine Influenza from other respiratory diseases. For these reasons, a veterinarian should determine which vaccinations are needed based on related risks and benefits and should administer these at least 2 weeks prior to planned visits to dog activity and care facilities (e.g., kennels, veterinary clinics, dog day care centers, training facilities, dog parks) Dogs admitted to shelters should be vaccinated on admission. Dogs with suspected Canine Influenza virus infection that is discovered after entry into the facility should be evaluated and treated by a veterinarian. Isolation protocols should be rigorously applied for dogs showing signs of respiratory disease, including the wearing of disposable gloves by persons handling infected dogs or cleaning contaminated cages. Respiratory disease beyond what is considered typical for a particular facility should be investigated, and the investigation should include submission of appropriate diagnostic samples (see “What diagnostic tests will tell me whether a dog has Canine Influenza?”). 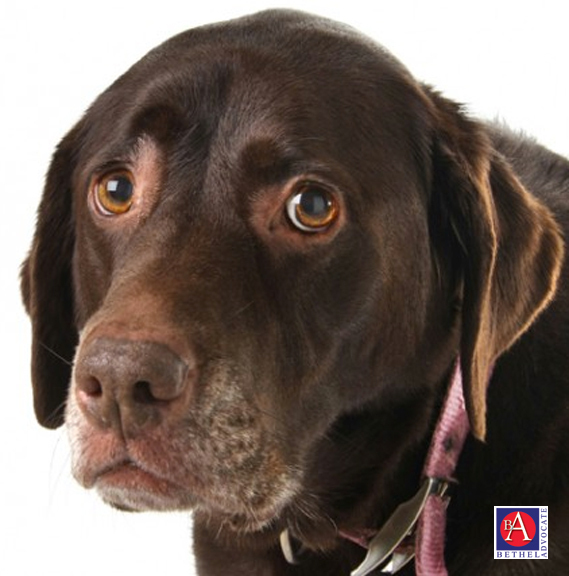 What diagnostic tests will tell me whether a dog has Canine Influenza? What samples do I send? Where do I send the samples? Howdo I distinguish between Canine Influenza and Kennel Cough? There is no rapid test for diagnosis of acute Canine Influenza virus infection. Diagnosis may be confirmed through serologic testing. Antibodies to Canine Influenza virus may be detected as early as seven days after onset of clinical signs. Convalescent-phase samples should be collected at least two weeks after collection of the acute-phase samples. If an acute-phase sample is not available, testing a convalescent-phase sample can reveal whether a dog has been infected at some point in the past. Other diagnostic options applicable to dogs that have died from pneumonia are viral culture and polymerase chain reaction (PCR) analysis, using fresh (not formalin-preserved or frozen) lung and tracheal tissues. Virus detection in respiratory secretion specimens from acutely sick animals using these methods is possible but generally unrewarding. The Cornell Animal Health Diagnostic Center is currently accepting samples for analysis. For detailed information on sample submission, visit www.diaglab.vet.cornell.edu/issues/civ.asp. • Separate newly arriving animals from animals that have been housed one week or longer. • Routinely monitor animals for signs of disease. Separate sick animals from healthy animals, especially animals with signs of respiratory disease. • There is no evidence of transmission of Canine Influenza virus from dogs to people. However, because of concerns about diseases that are transmissible from dogs to people, in general, it may be prudent for young children, the elderly, pregnant women, and immunocompromised persons to limit or avoid contact with animals that are sick. At this time, there is no evidence of transmission of Canine Influenza from dogs to horses, cats, ferrets, or other animal species. However, the infection control measures outlined in the section titled “I work in a kennel/animal care facility. What should I do to prevent transmission of influenza virus from infected dogs to susceptible dogs?” are recommended to prevent spread of the virus.